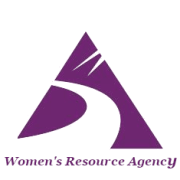 Women's Resource Agency, Inc. Women's Resource Agency, Inc.
To empower women and girls to attain and maintain personal self-sufficiency and economic independence. At WRA, women and teen girls support, training, and resources they need to seek employment and to become economically self-sufficient. WRA relies on community support and involvement to fulfill our mission of helping women of all ages attain and maintain self-sufficiency. We appreciate your support in fulfilling this important goal. Would you recommend Women's Resource Agency, Inc.?